George Soros is often cited as one of the most successful investors in history. At its core, The Alchemy of Finance is based around Soros’ Theory of Reflexivity. Soros believes that human understanding is incomplete and incoherent and, as such, prices aren’t objective. Instead, prices are based on people’s biased perceptions of the fundamentals underlying a company. Since investors are human, and they trade on biased perceptions, it follows that these perceptions and biases greatly influence the market. Soros goes on to explain how, in some cases, these perceptions can even affect the underlying fundamentals of the market itself. Even though the writing style could be more engaging, this book is Soros’ way to enlighten the reader about the subtle psychology and emotion underlying the market. 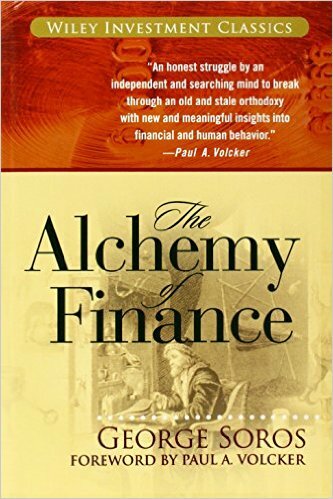 In this light, the use of the word ‘alchemy’ in the title is highly appropriate since Soros appears to see investing as an art more than a science. This book was written over 25 years ago, however Soros’ ideas are still highly valuable today. We have written about market psychology and emotions in the past. We recommend this book to anyone interested in high-level theory about financial markets, given that Soros’ theory also has practical applications.